Randomized controlled trials (RCTs) remain the gold standard in examining the effectiveness of interventions, particularly in relation to healthcare (1). Validity of conclusions of RCTs heavily rely on adherence to the standards of design, implementation and reporting (1). The term ‘randomized’ can be validly used only if the probability that a given participant is being allocated to a given experimental condition (treatment assignment) meets certain conditions delineated elsewhere (2, 3, 4). Nykänen et al. 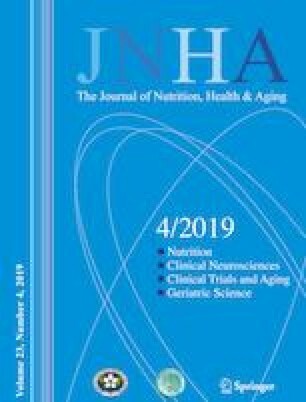 (5) described conducting a randomized controlled study that explored the effects of regular consumption of high-protein dairy-based snacks and energyenriched berry-based snacks on nutritional status and grip strength among older people in home care. The authors observed that regular intake of the high-protein and energyenriched snacks was associated with an overall improvement in the nutritional status, plasma albumin level and grip strength compared to the control condition. We acknowledge the value of this research topic, particularly for clinicians managing geriatric populations. However, we have a concern regarding the reported randomization protocol. The authors report that the “Participants were randomly assigned to the intervention group or the control group using computer-generated random numbers”. Yet, the authors have neither reported adequate details regarding the random number generator per the CONSORT 2010 guidelines (1) nor have they specified the pre-determined probability of allocation to the intervention. Commonly, when no specific allocation probability is specified, equal allocation per group was attempted. Here we note that the authors randomized 53 to the intervention and 36 to the control conditions (approximately 3:2). This ratio is numerically different from a 1:1 allocation (though not quite statistically significantly so by an exact 2-tailed binomial test (p = 0.089). We checked the clinical trials registration for this study (NCT03352388) and found no description of the randomization process or planned allocation ratio. We have twice contacted the authors to ask for more details on how the randomization was conducted and have not received a reply. Therefore, at the editor’s suggestion, we have written this letter to seek that information. We note that an important criterion for authorship recommended by the International Committee of Medical Journal Editors (ICMJE) is accountability in addressing queries related to accuracy or integrity of the work (6). In conclusion, the methods reported by Nykänen et al. (5) are not sufficient to assess the study as a randomized controlled trial. Adherence to the CONSORT guidelines is warranted in designing, implementation, reporting and peer-review of RCTs. We encourage the authors to update the published methods and, if warranted, the conclusions. Acknowledgement: Supported in part by NIH grants R25DK099080 and R25HL124208. The opinions expressed are those of the authors and do not necessarily represent those of the NIH or any other organization. Conflicts of interest: In the last 12 months, Dr. Allison has received grants, consulting fees, contracts, donations, or promised for same from Ikea, The Law Offices of Ronald Marron, Tamasik, Kotin, & Kasserman, Biofortis, the Potato Board, Dairy Management Inc, Herbalife, Fish & Richardson, P.C., and other government agencies, non-profit foundations, and for-profit organizations with interests in obesity, nutrition, statistics, and scientific rigor. International Committee of Medical Journal Editors. 2016. Defining the role of authors and contributors. https://doi.org/www.icmje.org/recommendations/browse/roles-and-responsibilities/defining-the-role-of-authors-and-contributors.html#two Accessed December 19, 2018.